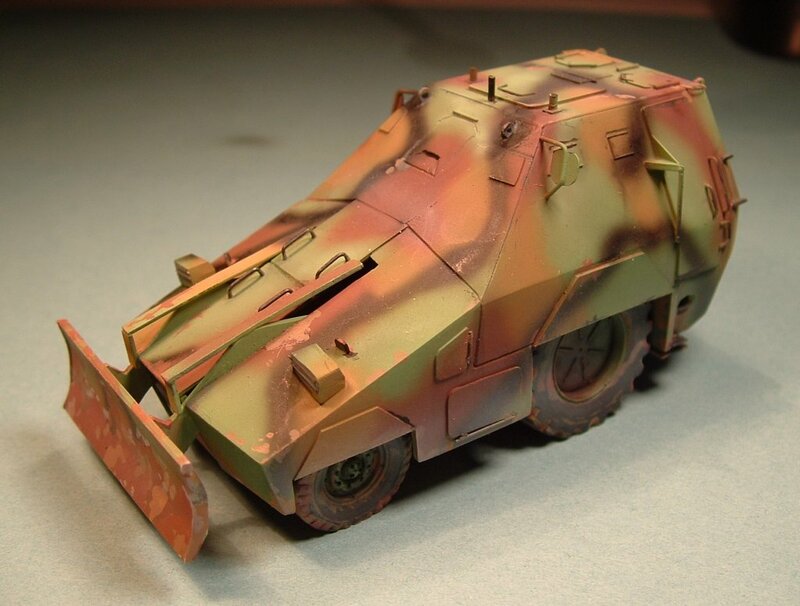 Vojislav will present us some of the models he has made in the 1/72 scale about improvised armored cars of the 1991 war in Yugoslavia. 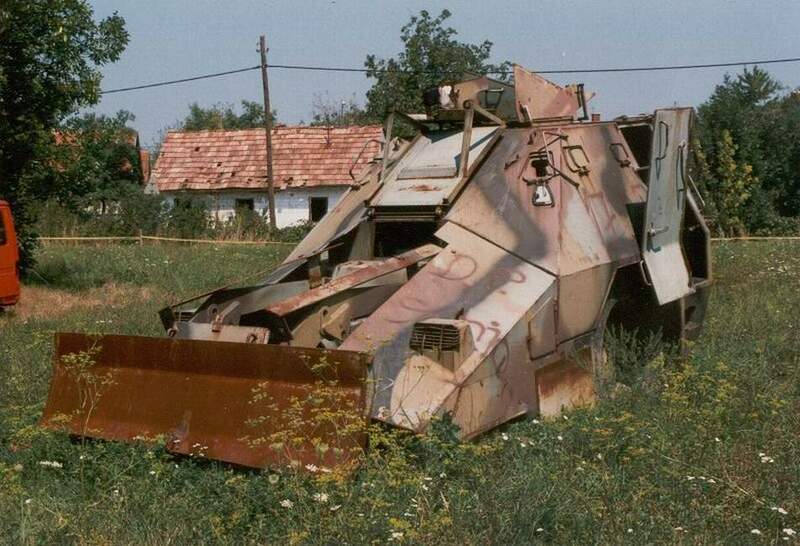 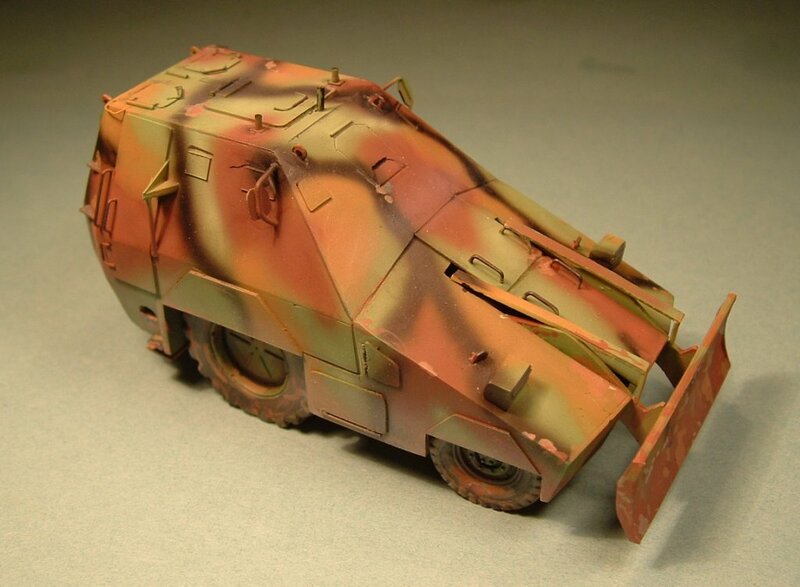 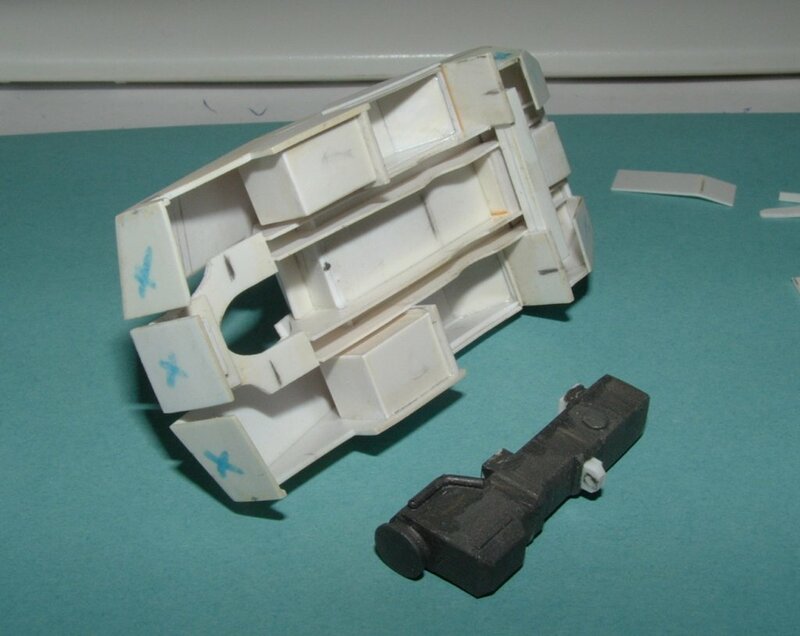 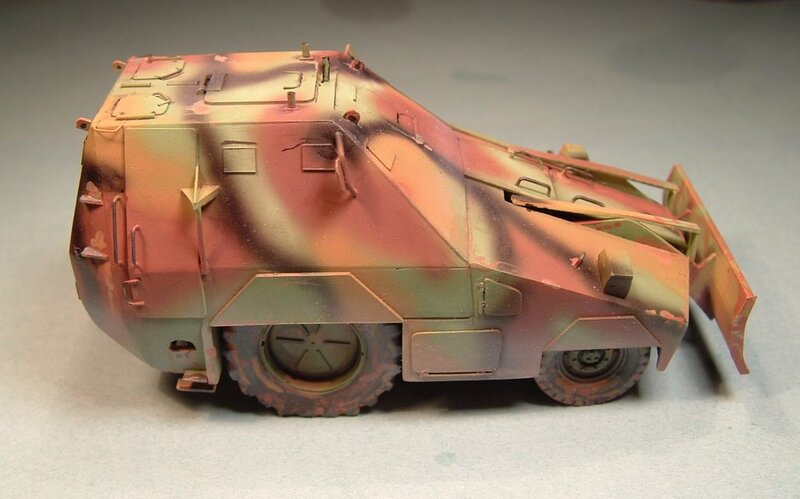 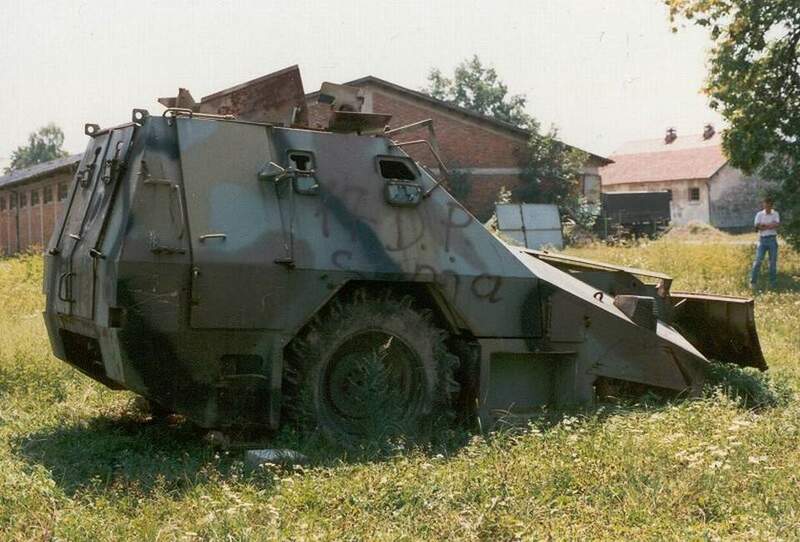 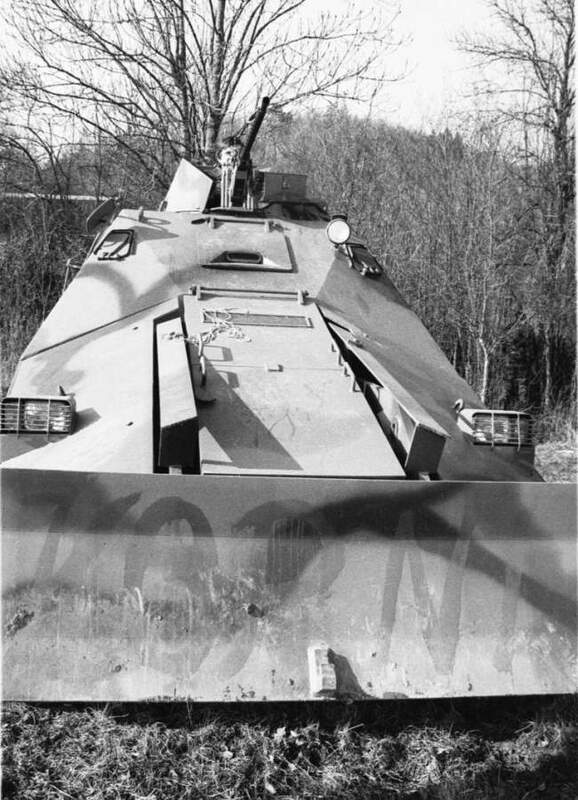 Here are some photos for one of the improvised armored vehicles of the 1991-1992 war for independece in Croatia I made in 1/72. 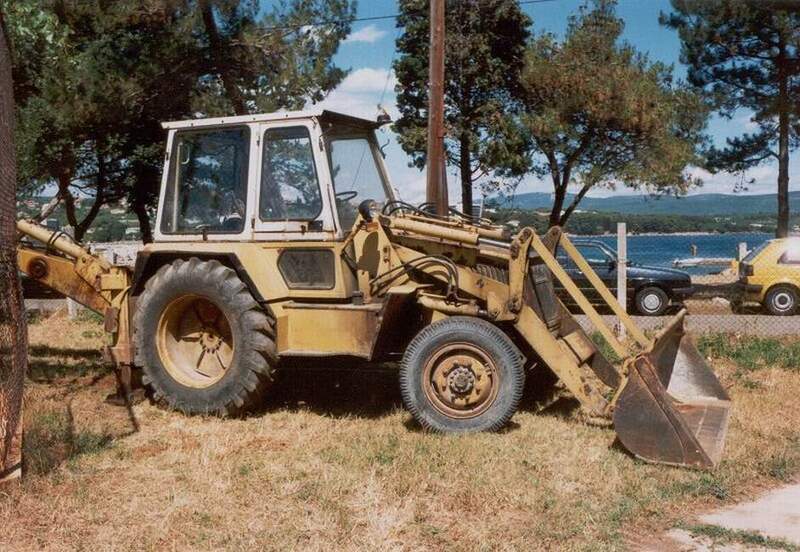 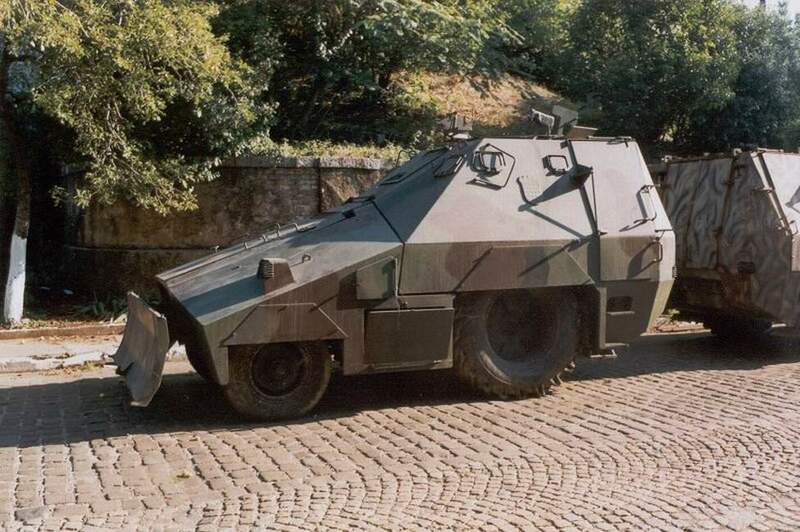 It's name was 'STRASKO' (the TERRIBLE) and was based on a front-end-loader made by the Torpedo factory at Rijeka, Croatia. 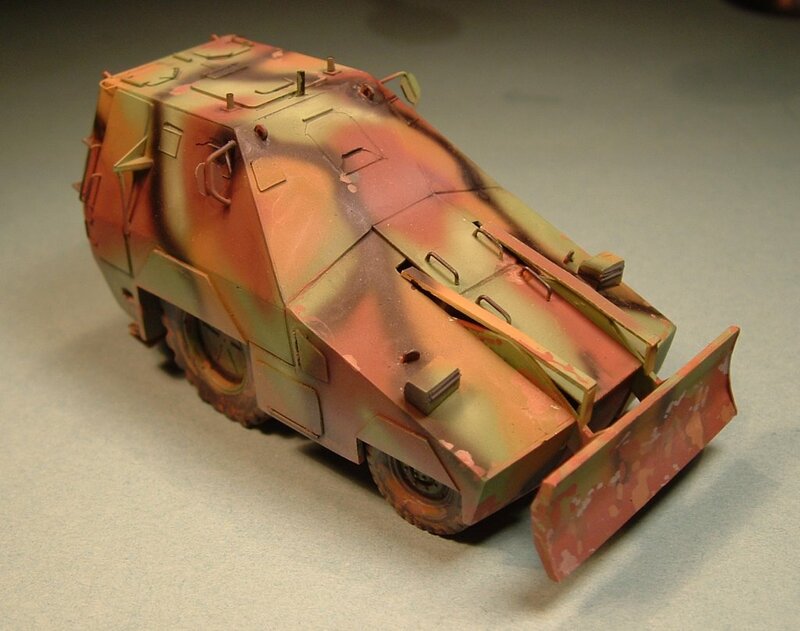 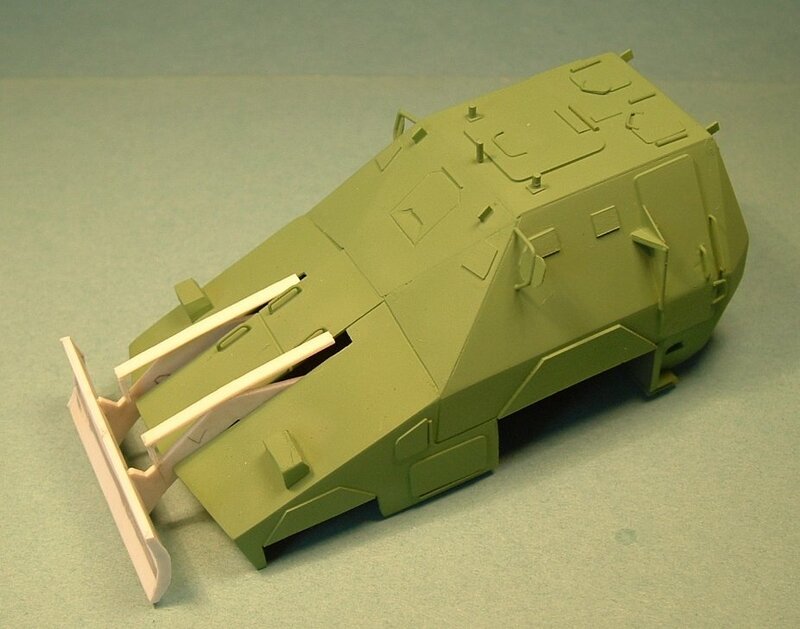 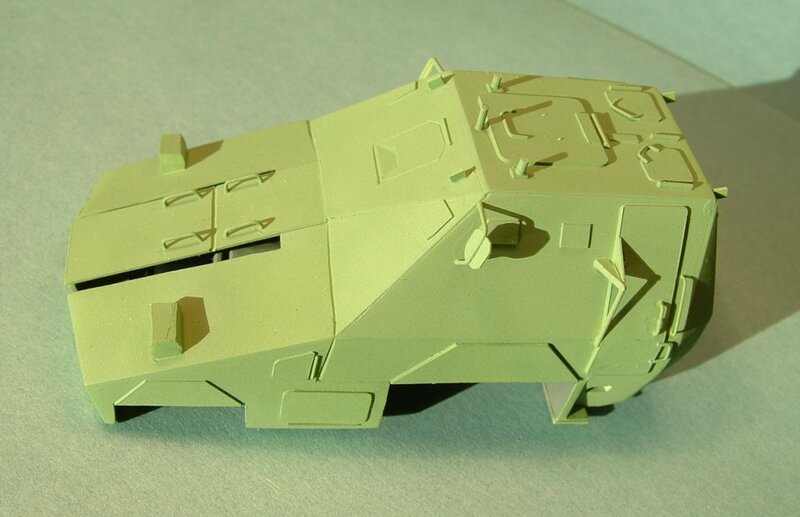 Making the model was not very difficult as all of the improvised vehicles of that period (more than 100 types, almost all of them unique) had straight armored plates which are not difficult to model. 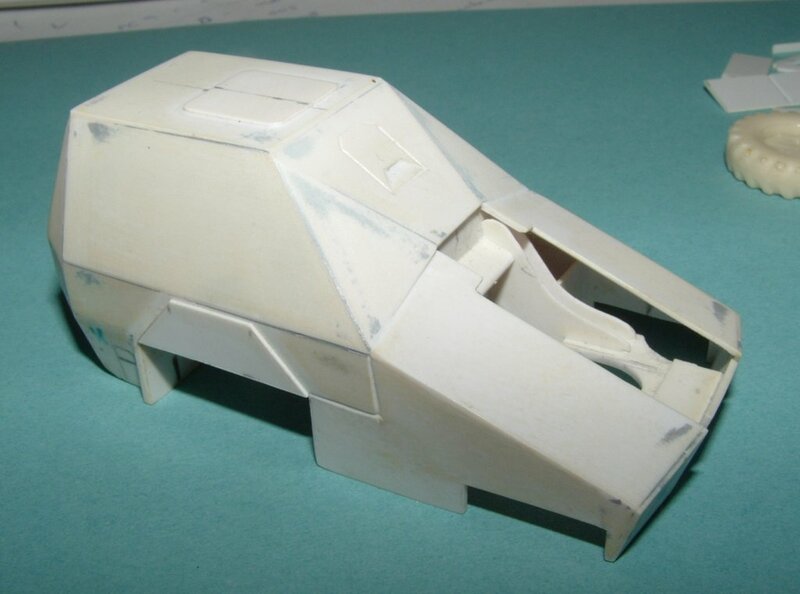 The only problem are the wheels and lack of accurate data as most of the vehicles were built as real improvisations and without blueprints. 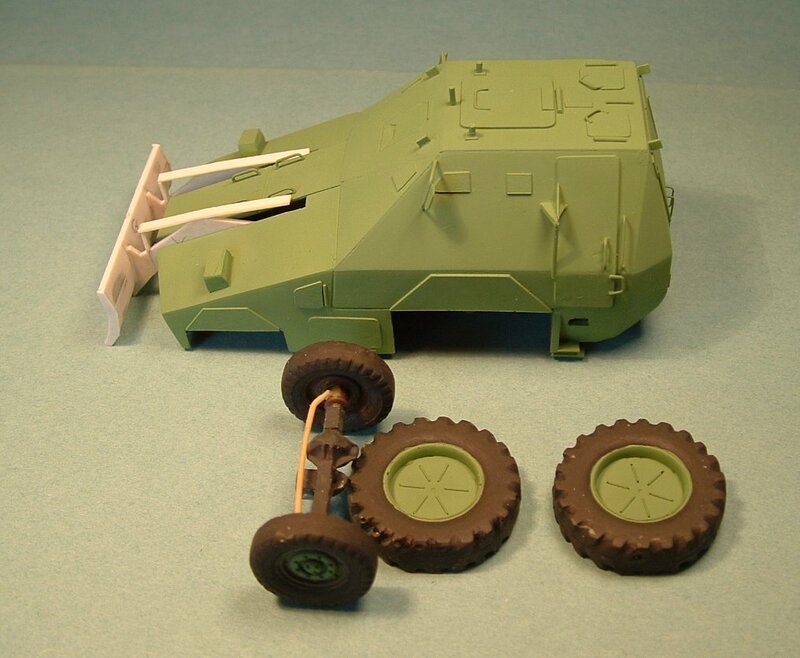 The model was all scratch-built except for the front wheels. 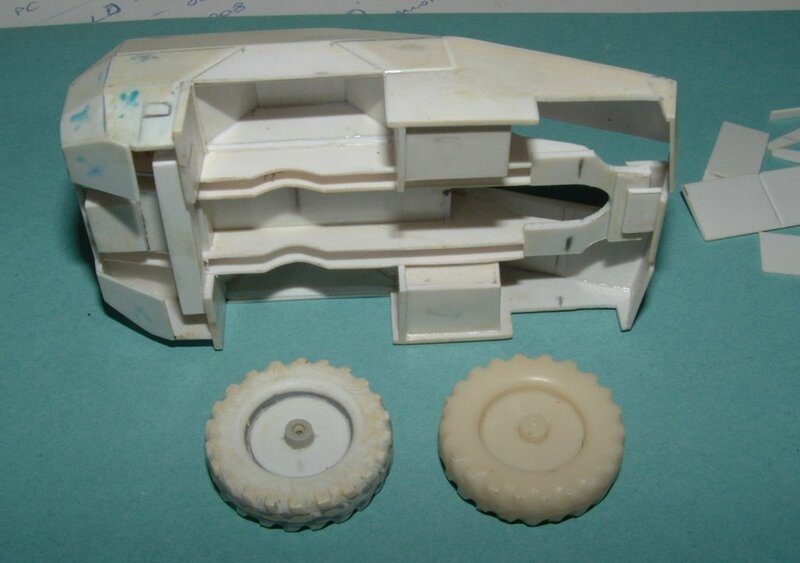 Even the main wheels were made from scratch and then moulded in resin. 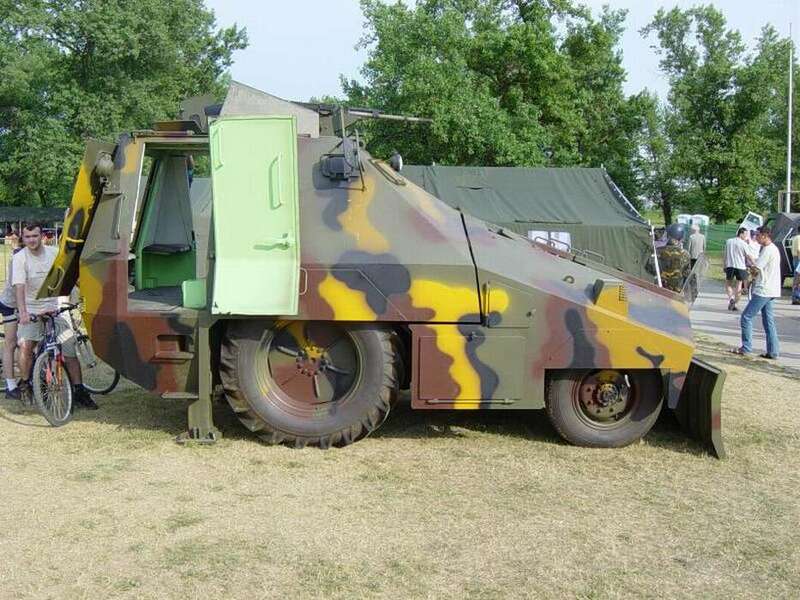 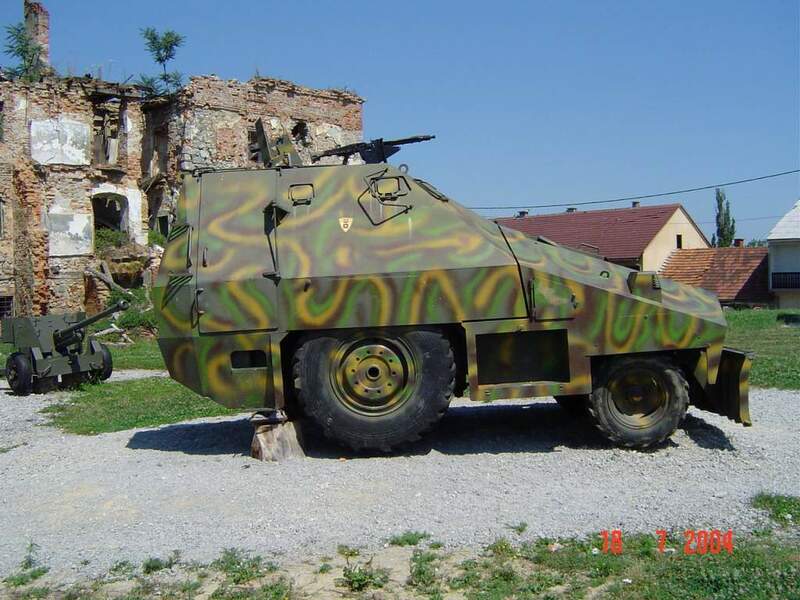 The 'STRASKO' is the only vehicle built im some quantities (about 15 vehicles) and the factory (Torpedo in Rijeka) is near the place where I live. 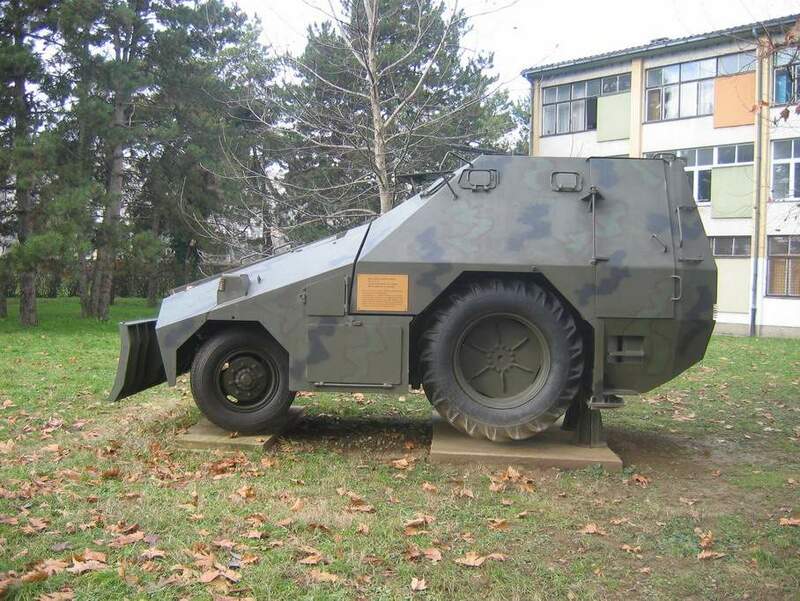 strasko_displ2 - vehicle displayed at an open Museum in Turanj (near Karlovac) - which is very convinient as it can be visited at any time even more because itis near the main road Karlovac-Plitvice.